The temperature during the day had been a balmy +6C, so by dinner time I wasn’t wearing as many layers as I probably should have as the temperature had dropped down to -12C. As we walked out of our cabin on the way to dinner we saw the lights glowing in the sky above the main building where the restaurant was. 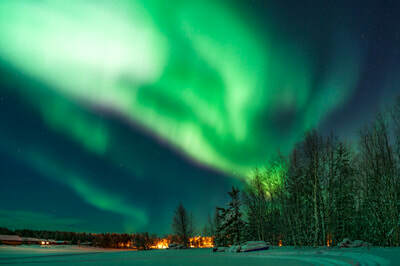 I insisted to my better half we’d need to eat dinner very quickly as who knows how long the aurora will last. 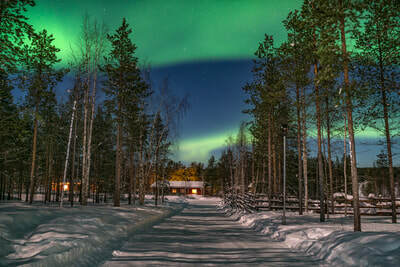 After scoffing down dinner at a speed that’s not good for you we rushed back to the cabin to grab our camera gear. 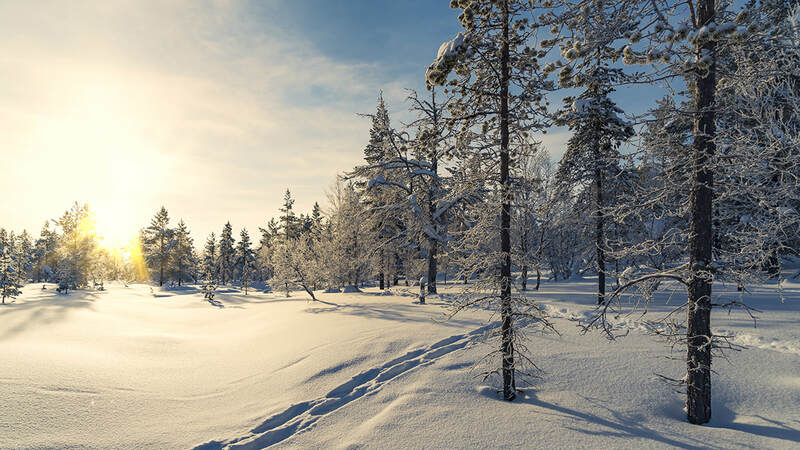 I’d decided to skip putting extra base layers on and left the better half changing, but hey I felt hot rushing after rushing around and thought I’d be fine. I left the cabin having arranged to meet Jan by the main building as I wanted to attempt to capture the lights over the log cabins at spots we'd scouted earlier. After we met up we spent a good hour taking shots round the camp before heading off to lake Inari. 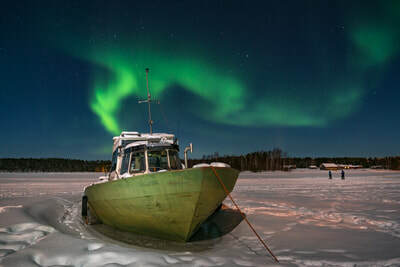 Some of the photos taken by lake Inari. 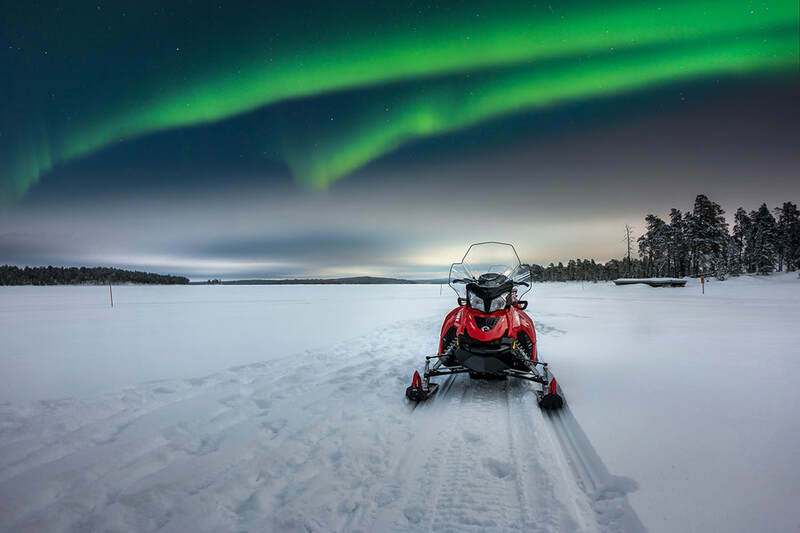 The following morning our activity was snowmobiling out into the wilderness across lake Inari. 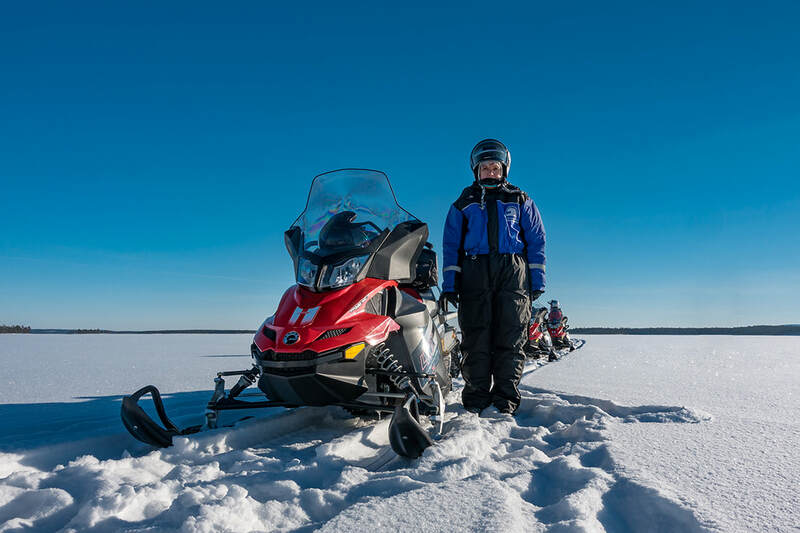 This was probably my least favourite days activity as it had no objective, and it’s not like you can relax while riding one as you feel like you’re fighting to control it, so riding round on a bumpy snowmobile for hours aimlessly doesn’t do it for me, but each to their own. 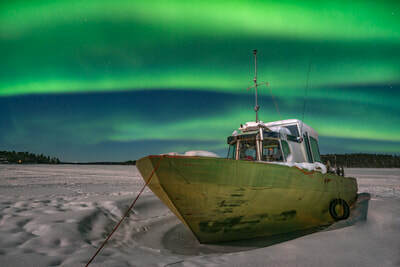 By the time evening fell it was like someone had pressed the replay button from the previous night and we were off shooting spectacular northern lights again. 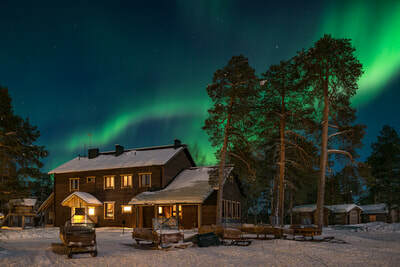 In all we had five amazing nights in a row of northern lights, something we’d not experienced anywhere until then, usually we’d have been lucky if we had one night seeing the lights on a two week trip. 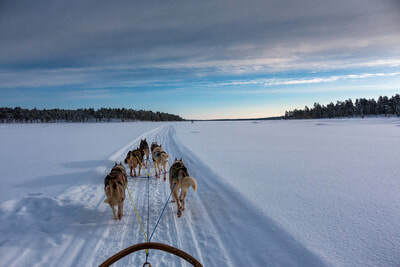 Apart from shooting the aurora my favorite activity while there was driving the huskies. 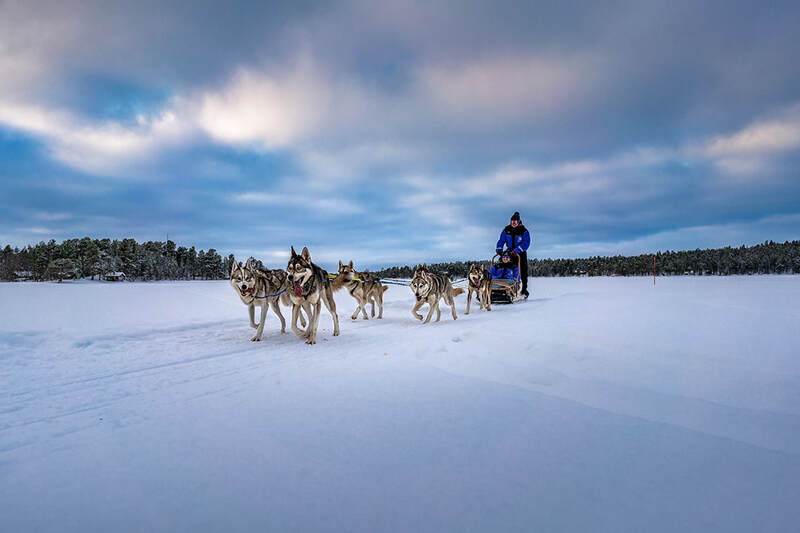 There’s something really special about driving a team of dogs across a snow covered wilderness, and it’s really hard to put into words the euphoric feeling you get whilst you and the dogs work as a team almost silently gliding over a beautiful snow covered wilderness. 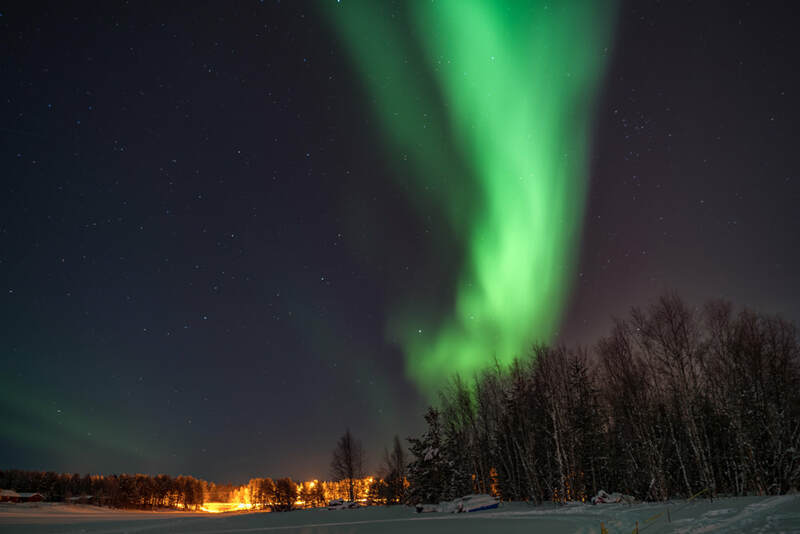 Our trip was a total of six days so unfortunately all to soon it was time to fly back home to the UK, but it is one trip that will always stay with me forever - wow what a great adventure in a great place with such an amazing aurora display every night. 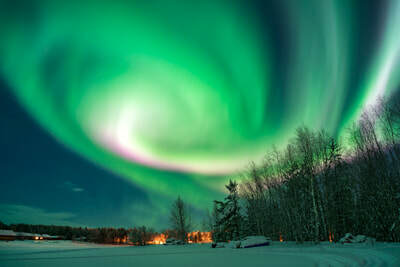 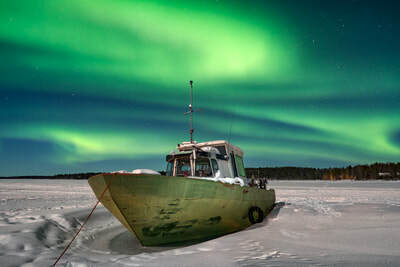 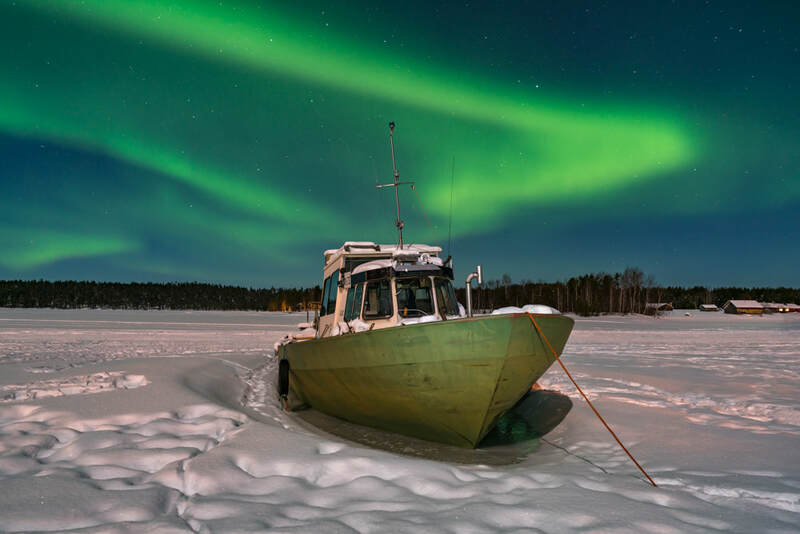 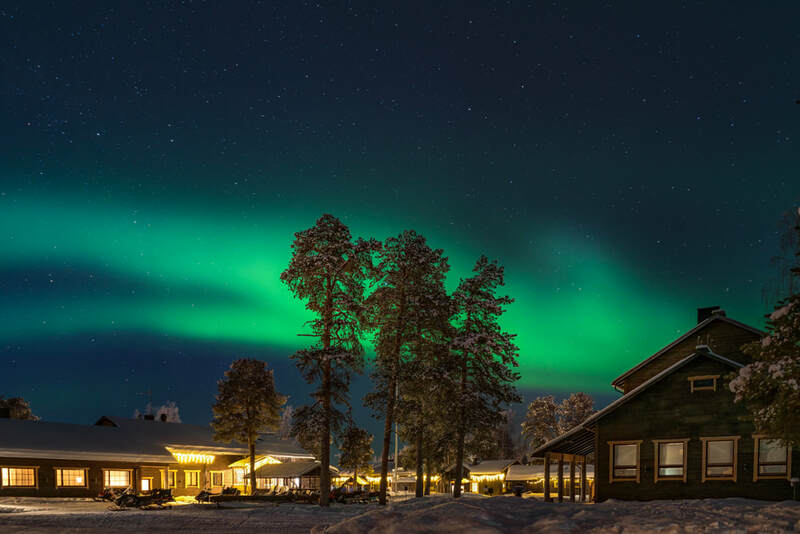 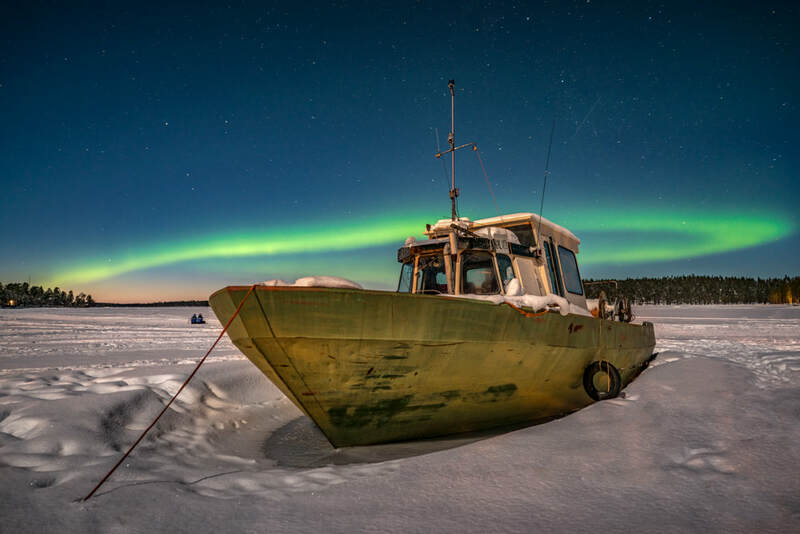 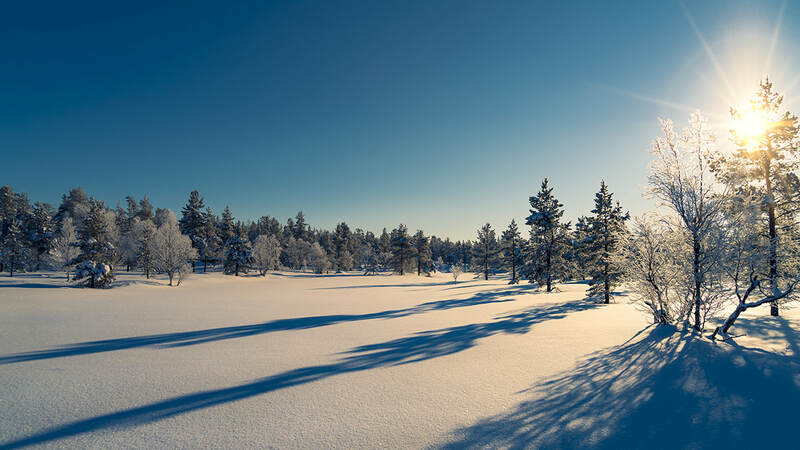 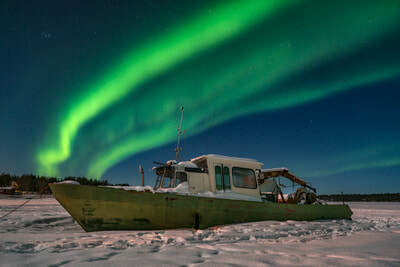 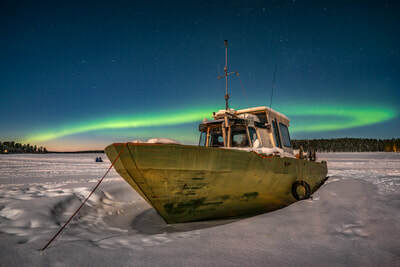 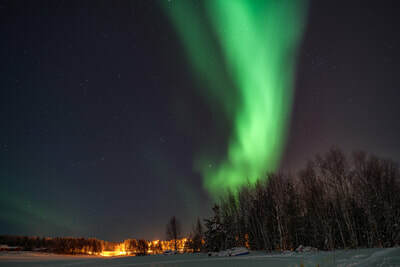 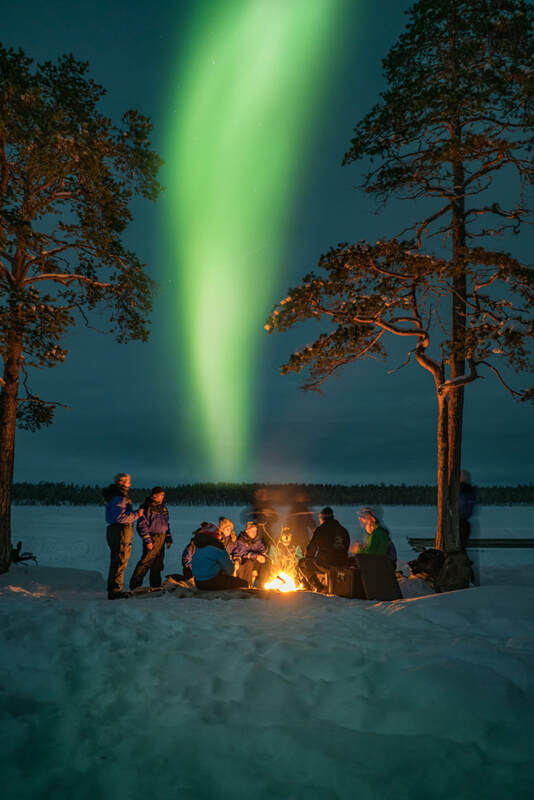 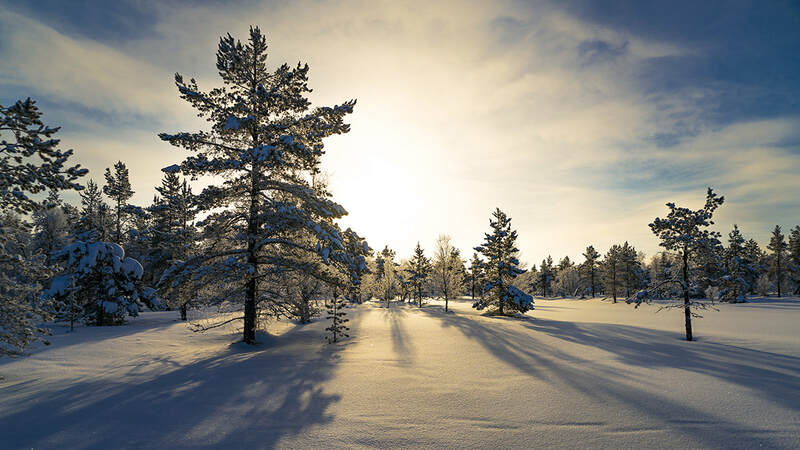 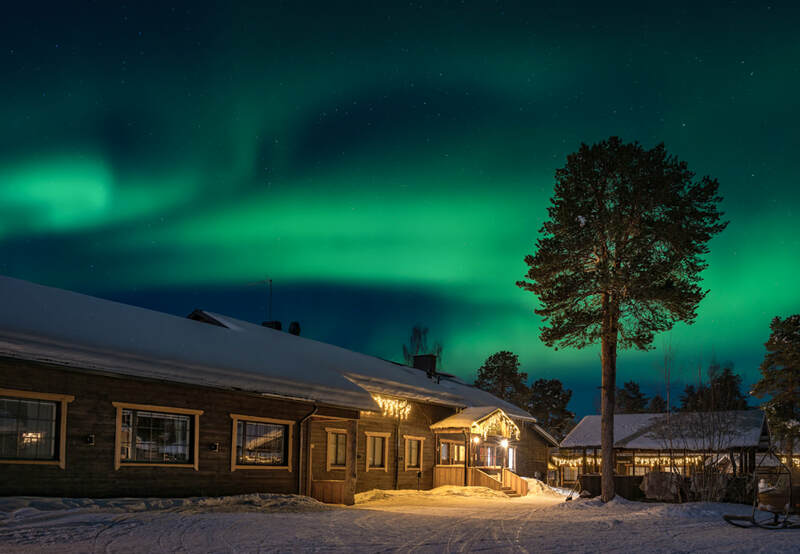 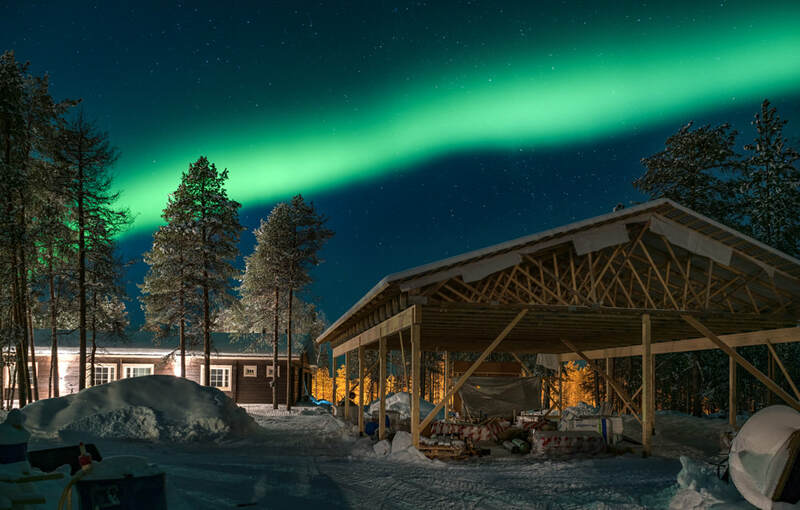 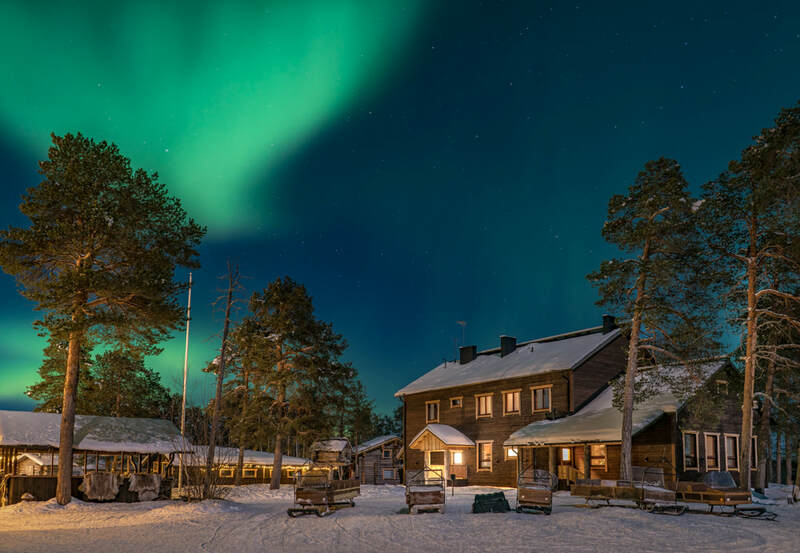 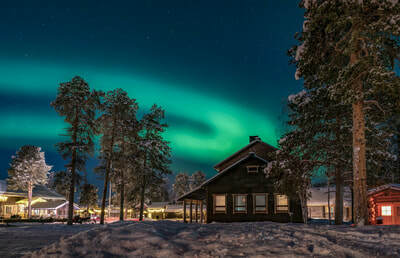 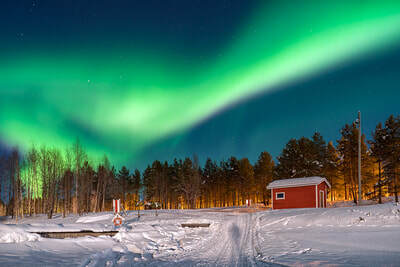 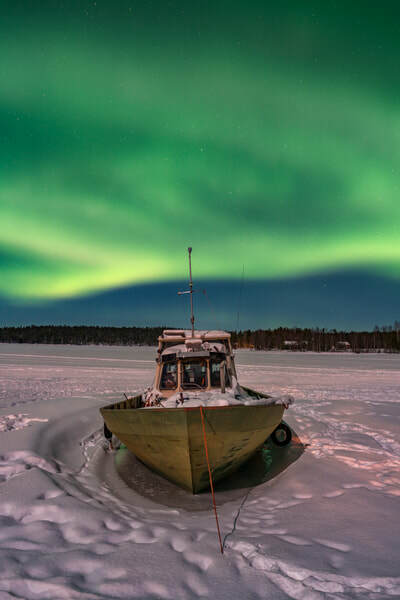 View more Northern Lights photos taken in Finland or Wilderness Winter Landscapes in Finland. 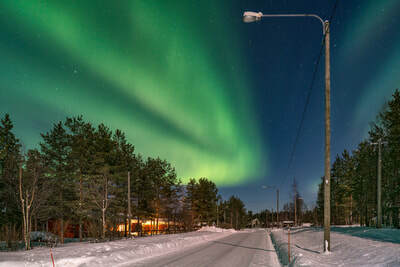 ​Pictures are available as prints, learn more.